It’s safe to say we have come a long way in terms of technology; the rapid developments in the automotive industry and the increased complexity of cars have definitely updated the requirements of becoming a mechanic. Back in the 1980’s, you were a brilliant mechanic if you knew all the ins and outs of a vehicle. There were no electrical systems you had to worry about, only the knowledge of being able to find and fix any mechanical problems with the vehicle was necessary. 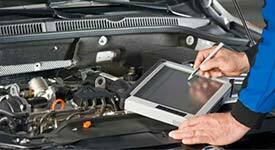 Nowadays, many of the modern car faults you’ll find are linked to electrical systems. In the early 1980’s, a system referred to as OBD I (on-board diagnostics) was introduced and it was an automotive term that denoted a vehicle’s self-diagnosis and reporting capability. In simple terms, it’s a computerised system that monitors the performance of the major components in your vehicle, especially the ones that are responsible for regulating emissions. This meant that if any problems with the onboard systems occurred, the driver was notified with a warning light. This innovation was the beginning of the use of electronic systems in vehicles and it was only going to progress from there, so it was important for mechanics and technicians to adapt and continue to learn as the industry grew. During the mid to late 1990’s, OBD II was released and it was basically a more advanced version of OBD I, as it integrated Diagnostic Trouble Codes (DTC). The role of DTC’s was to give a more accurate view of what system or component was facing problems so that the driver was aware of where the exact problem was originating from. This updated version of the OBD system required mechanics to become more educated in the different sensors and systems. From 1996, in the US it was compulsory that all newly manufactured vehicles had built in OBD II systems. 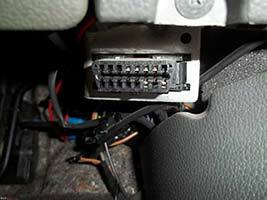 Nowadays, vehicles have a much more complex version of the OBD II system, as almost every component in a vehicle has an assigned sensor that will pick up any signs of an issue and even may be advanced enough to show how severe the problem is. For example, if your vehicle senses that the engine oil is either running low, the pressure is too low or the temperature is too high, the oil warning light will pop up on your dashboard, possibly alongside with the engine warning light, so that the driver is made aware and can get the problem diagnosed and fixed as soon as possible. Why Is It Important For Mechanics To Remain Up-To-Date With Technology? As the evolution of the automotive industry continues, mechanics must also evolve to keep up with this technological growth. However, with the sophistication of vehicles these days, modern car faults require a much more thorough insight of vehicles sensors, different systems, mechanisms and strategies. By working hard to keep up with the new technology, mechanics will prosper, as being able to diagnose and repair not only mechanical but also electrical modern car faults is a required expertise. It’s tempting to have a go at diagnosing and fixing your own vehicle, but with the advancements and deep integration of mechanical and electrical systems of a modern vehicle, it may be more difficult than it would have been in the past. Modern car faults that occur will probably need specific tools and software to repair, so instead of facing the challenging and time-consuming task of trying to fix your own vehicle, you should allow experienced and skilled technicians or mechanics to handle it. Speaking of skilled technicians and mechanics, at Sinspeed, we happen to have plenty of them ready for whatever problems that may need diagnosing and fixing. So, don’t hesitate to book your car in with us if any warning lights pop up on your dashboard, it’s better to be quick at finding the issue and repairing it before further damage is caused. Tags : Automotive Evolution, Evolution Of The Automotive Industry, Modern Car Faults, Modern Car Faults: Automotive Evolution, Modern Car Issues, Modern Car Problems.